Looking for the most cost effective way to go green? You probably are if you have old fluorescent lighting fixtures in your space. Retrofit kit s contain the hardware needed to enhance the performance of your old fluorescent lighting system. Most often, a retrofit kits include brackets, sockets, screws, fasteners and a reflector designed to guide the light emissions in the right direction. This solution improves the lighting of your existing fixture while saving you energy costs. I recommend retrofit kits to anyone who is satisfied with the existing layout of their fixtures. Installing retrofit kits is easy and more cost effective than replacing the entire system. If you’re fixtures still contain the T12 size system, that have been in place for 70 years, you may want to look into the benefits of the newer T8 and T5 systems. The newer systems are designed to give you more options with regards to wattage, color rendering and temperature. Of course these projects are not for everyone, so for safety reasons you should contact an electrician if your not familiar with electrical wiring. At Diffuser Specialist we are continually trying to find new ways to increase the lighting distribution in your space with solutions that are aesthetically pleasing, as well as efficient. 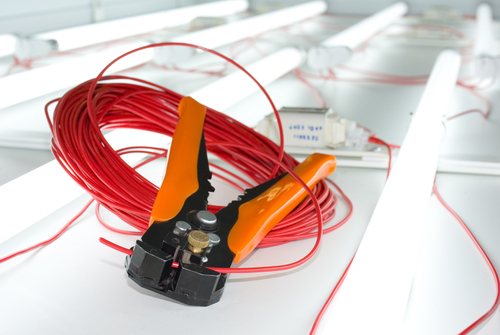 Retrofit kits are beneficial for the DIY handy man, and commercial business owners alike. You can order retrofit kits from us, ask a question online, or bookmark our blog that we update regularly for more lighting information!